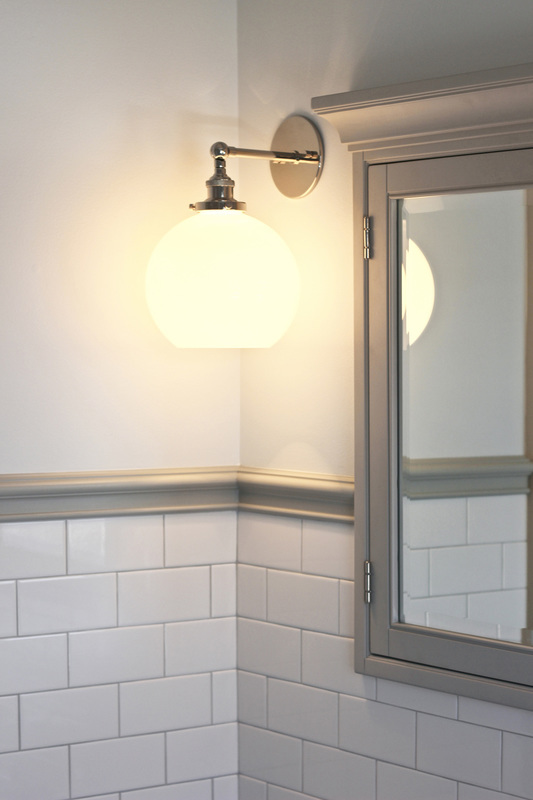 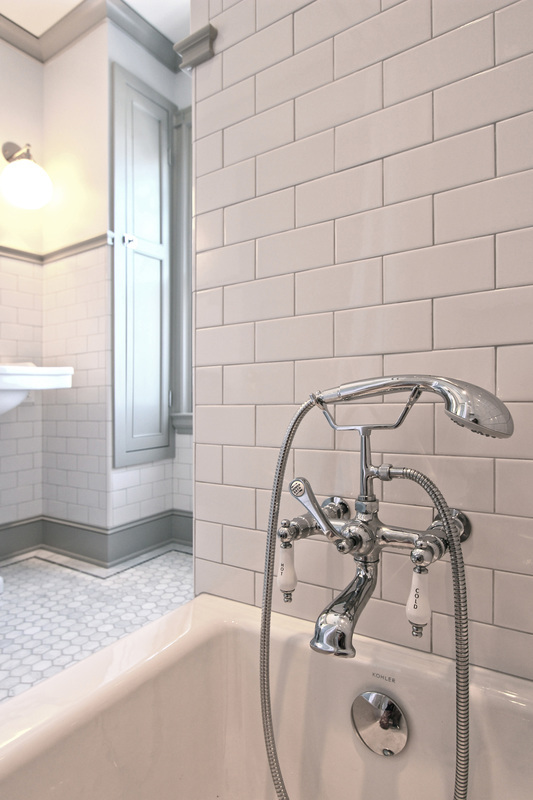 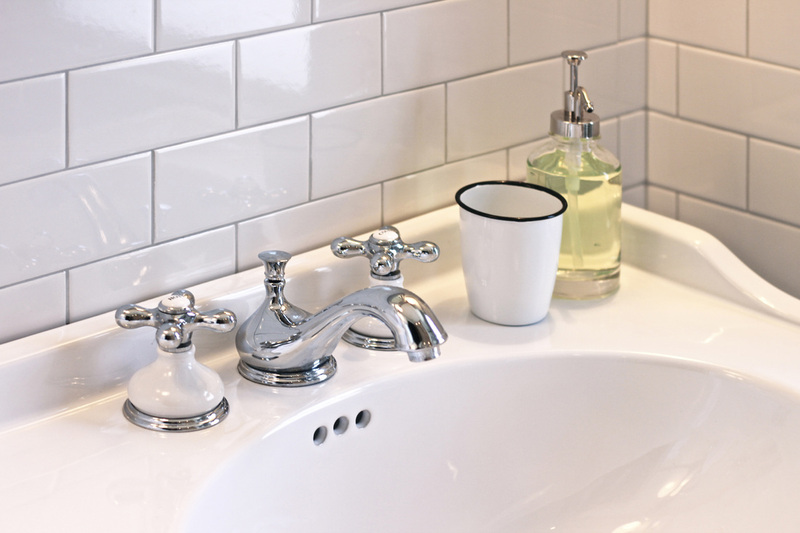 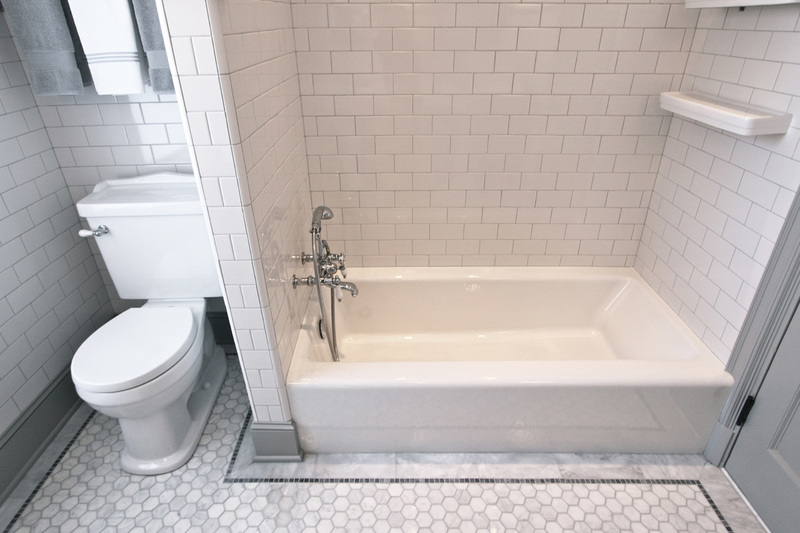 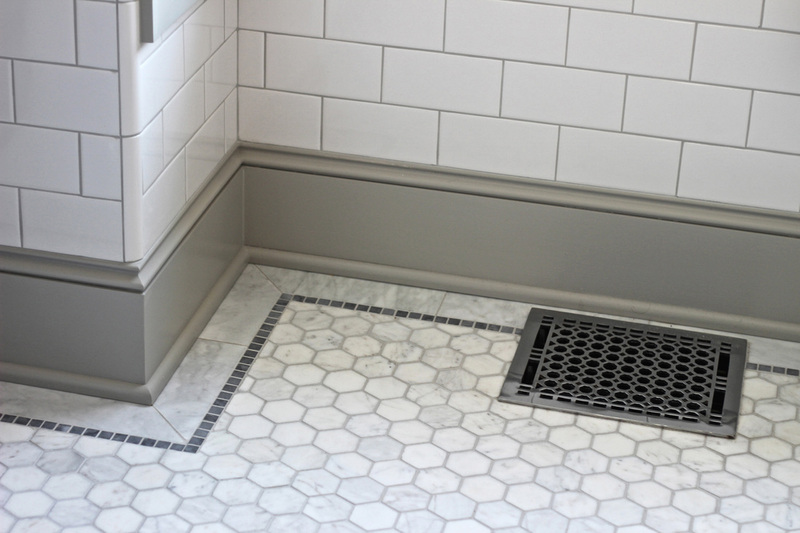 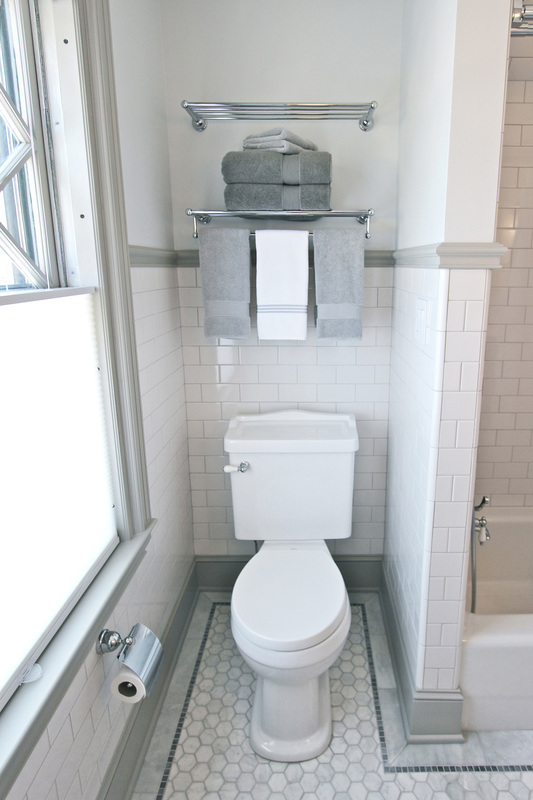 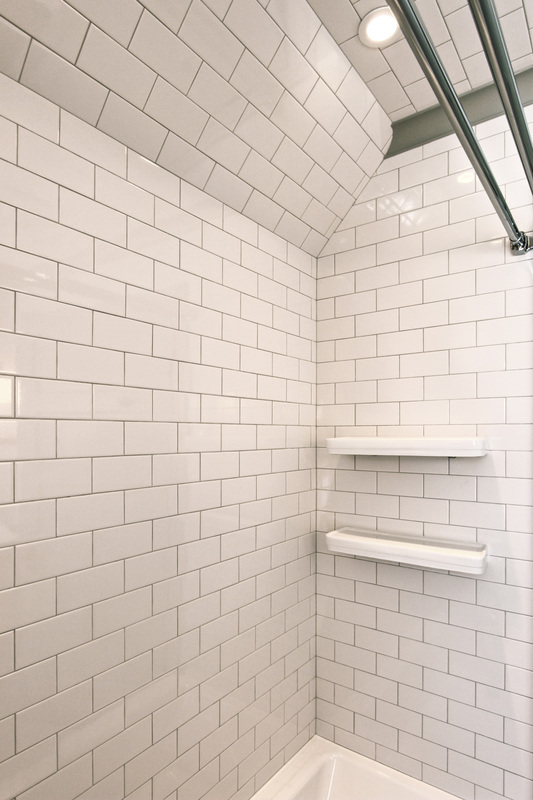 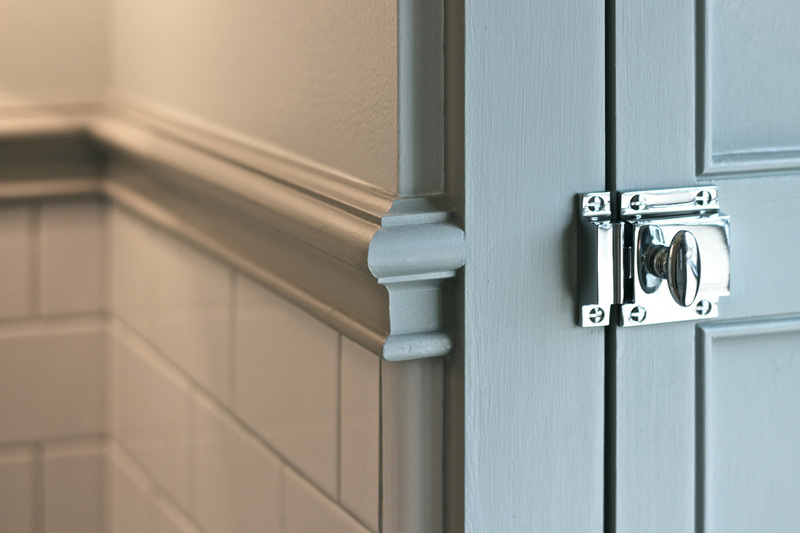 As the only full bathroom in this compact Victorian home, versatility and space-economy were of paramount importance for this bathroom renovation. 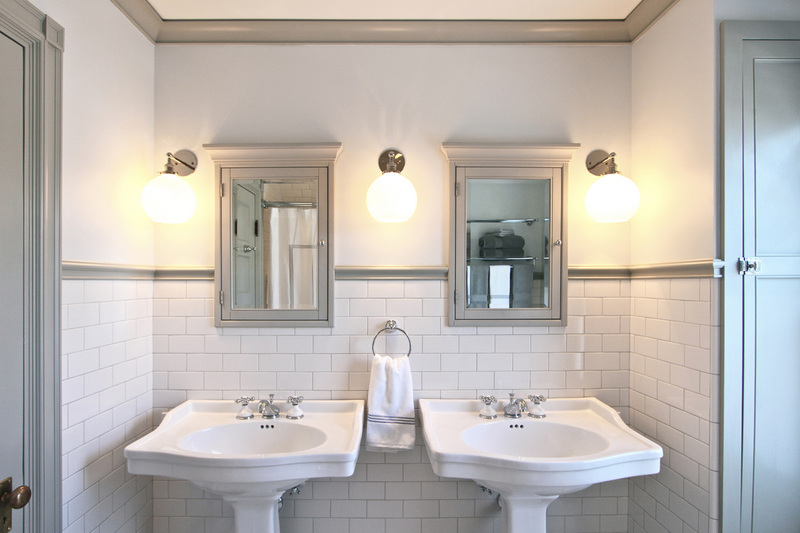 Twin pedestal sinks, built-in storage, bright finishes, and thoughtful lighting yield a functional yet generous space. 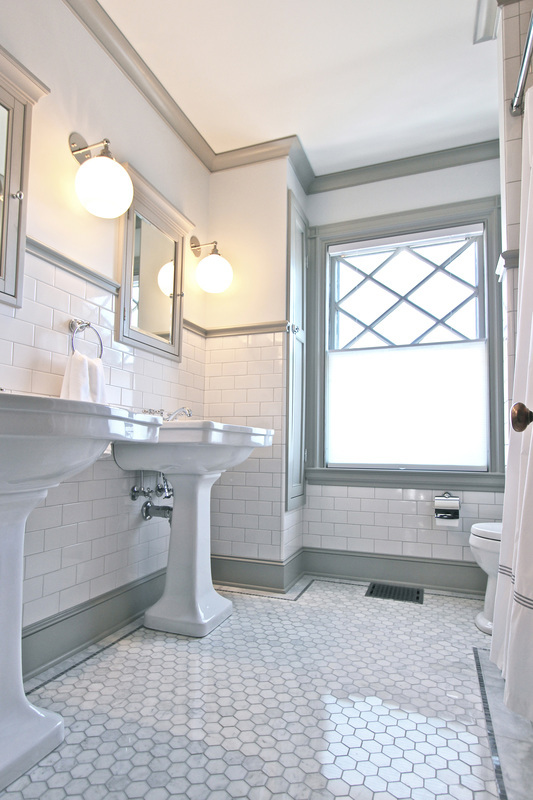 Period-appropriate fixtures and detailed finishes reestablish the elegant Victorian heritage of this century-old home.